We loved seeing our models walk down the runway of one of the largest and most prestigious fashion events in Texas: Fashion x Dallas! This event was produced Caplan Miller and Matt Swinney (creator of Austin Fashion Week) in collaboration with Fashion Industry Gallery (FIG). It exhibits some of the most talented, emerging designers in the country as well as designers (and winners!) from the hit series Project Runway All Stars. To see every designer involved, visit here! All of our models loved paving the way to such an amazing step in the profession of fashion in Texas. We caught up with a few of them to get an insight of their experiences in Fashion x Dallas! Charlotte Stevens in Mysterious by NPN. Photo from and featured on The Perennial Style. 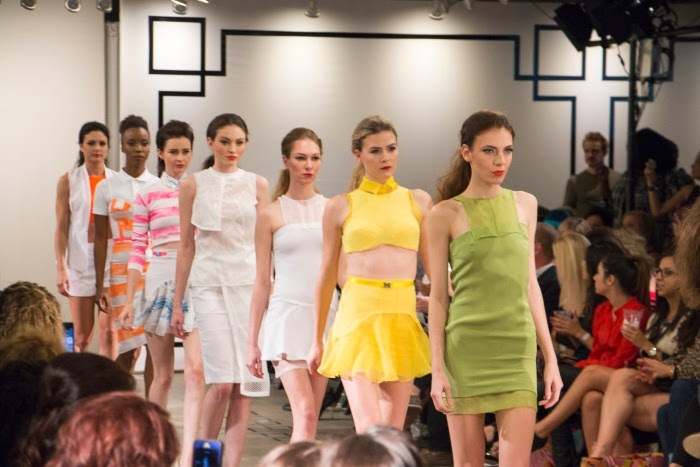 "Oh my gosh, it was such a fantastic experience to walk in Fashion X Dallas! It was such a huge event with so much energy and the collections were just beautiful. Each designer had such a different vibe and it's hard to pick one favorite. I guess I would have to say I loved the clothes from Mysterious by Nicholas Nguyen . The colors and the drape of the fabrics were just amazing. I felt like a princess!!!" Chloe Nguyen in Laura Kathleen. Photo by Stephanie Drenka Photography featured on Eat.Style.Dallas. "I don't go to Dallas very often, so it was very exciting to be there! I was blown away by the work of all the designers, hair and makeup artists, people running the actual shows, and everyone else that helped in the production. My favorite outfit to walk in was probably the one I wore for Laura Kathleen. I wore these black leggings with an amazing gold and black cape/jacket, and I felt so freakin' cool in it." Alex Elizabeth in Rare Trends with Sarah Tierney, Taylor Hilton, and Christi Schaefer. "It was so much fun walking in FX Dallas, I made so many new friends and got to walk in a ton of great clothes! My favorite outfit to walk in was probably the opening look for Rare Trends, I absolutely adored the shoes and the cute bright red skirt!" Kenny Gardner in Edo Popken. Photo by Jonathan Huo featured in Texas Lifestyle Magazine. 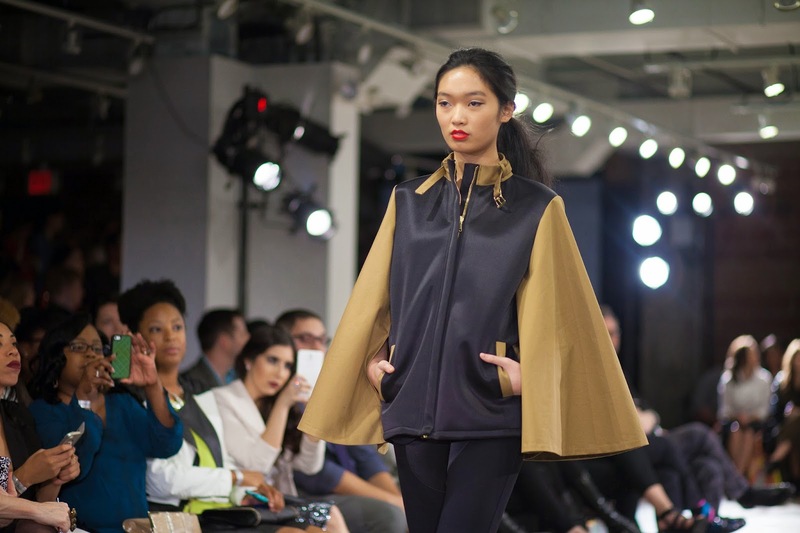 "I really enjoyed walking in Fashion X Dallas 2014 show. 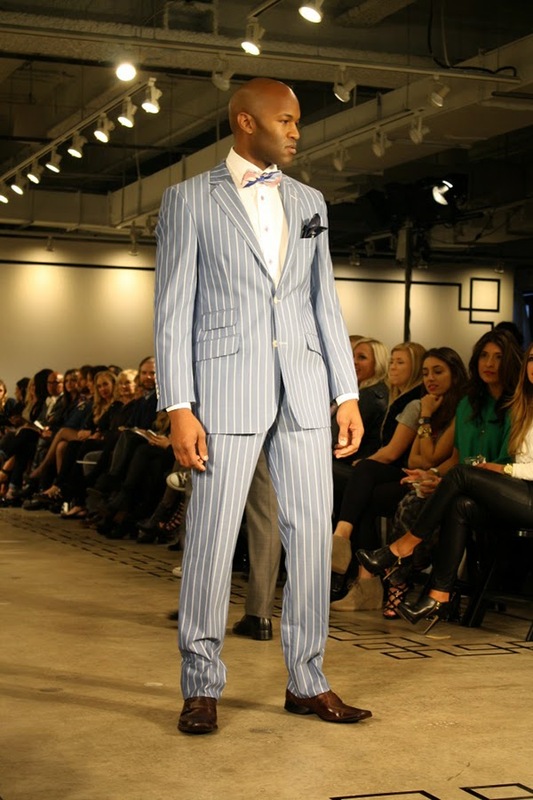 I had the opportunity to walk for all three men's lines that were featured in the show. Edo Popken has his own unique style. The European tailored style fit has a strong, intense personality to it. It gives you a very commanding, and authoritative confidence. Wearing Edo Popken's line makes you feel very in control of the entire room. One phrase that accurately describes The Ross Bennett Collection is "stylish, expressive fun." His line is about being free, expressing yourself with no regards, and having fun while doing it. His very contemporary style, gives you all the confidence to be who you are. Walking for his line makes you feel as if you can not do anything wrong as long as you stay true to yourself. League of Rebels brings a very sleek, smooth style to the individual. This is the line that gives you that type of cool, debonair attitude. It's a design that brings out a strong, seducing look out of your eye. League of Rebels is a great name for this line, because it is definitely in a league of its own." Jon Glenn in League of Rebels. Photo by Jonathan Huo featured in Texas Lifestyle Magazine. 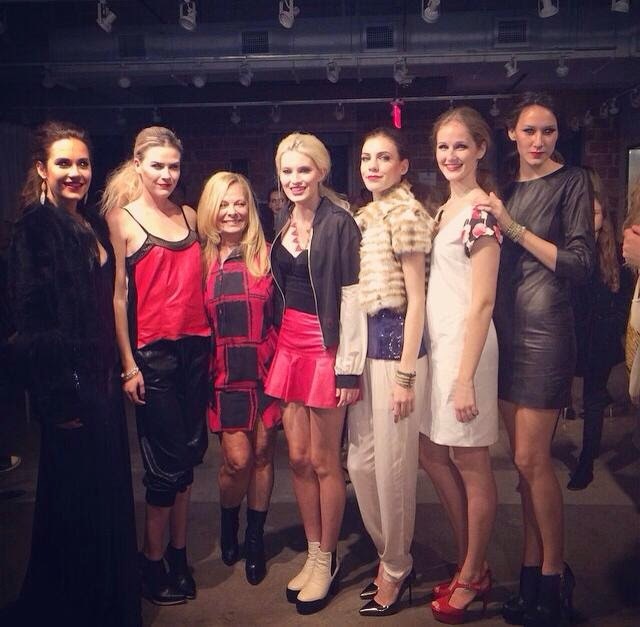 "Being able to walk for Fashion X Dallas was so much fun! 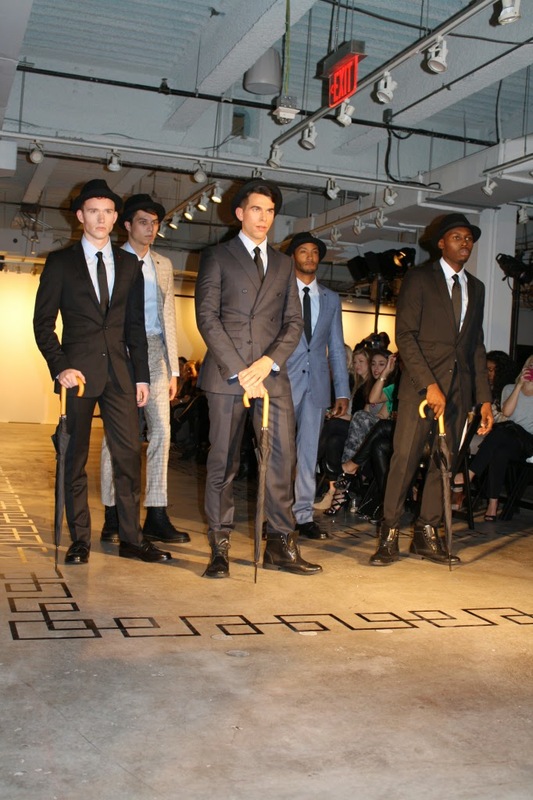 Opening for the League of Rebel's line was incredible; the great suit, top hat, and accompanying umbrella made that outfit my favorite look of the night." Hailey Krieg looks fun and youthful in a colorful mini dress by Adrienne Yunger! Photo by Jonathan Huo featured in Texas Lifestyle Magazine. How handsome does Brandon Lee look in Edo Popken? Truly a suit perfect for Gatsby! Photo by Stephanie Drenka Photography featured on Eat.Style.Dallas. Capes are here to stay! 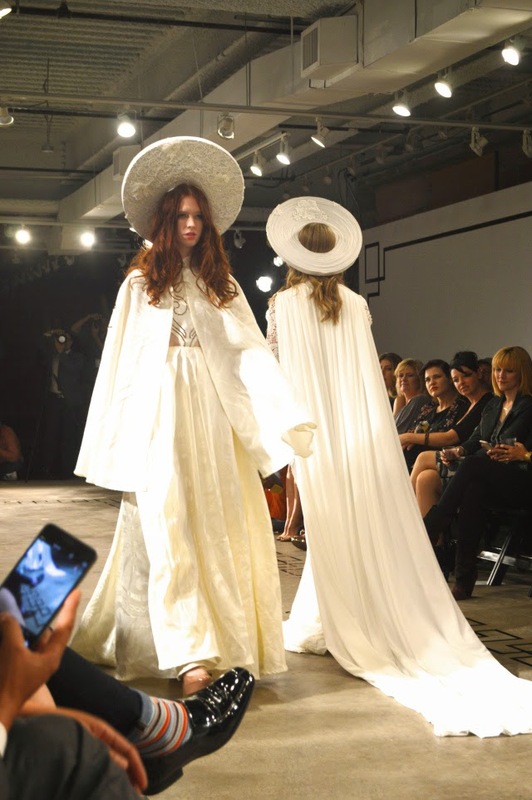 We are totally coveting this Nine Muses modern, white cape jacket. Annie Camblin in Nine Muses featured on Nakid Magazine. Page Parkes with models Katarina Richter, Taylor Dixon, Alex Elizaeth, Kelsie Moody, Taylor Hilton, and Holly Draper in Rare Trends. Fashion x Dallas literally was an event that showcased outfits for every type of fashionista. Whether you are a dapper gentleman, edgy girl, or sophisticated woman who appreciates an ethereal gown, there was something for everyone to obsess over! We cannot thank everyone enough for being part of such a phenomenal show.